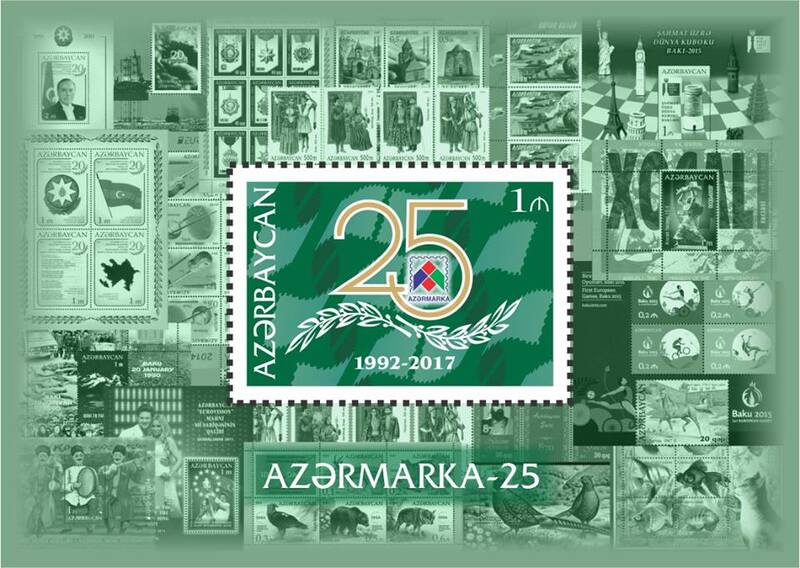 The 25th Anniversary of the "Azermarka" LLC. There is pictured special logo devoted to 25th anniversary of “Azermarka” on the stamp. 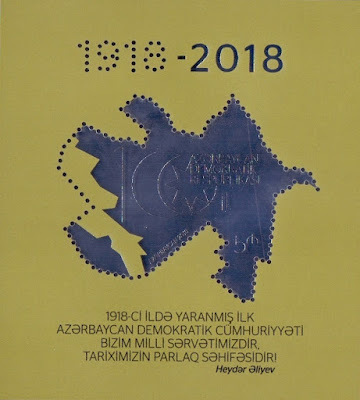 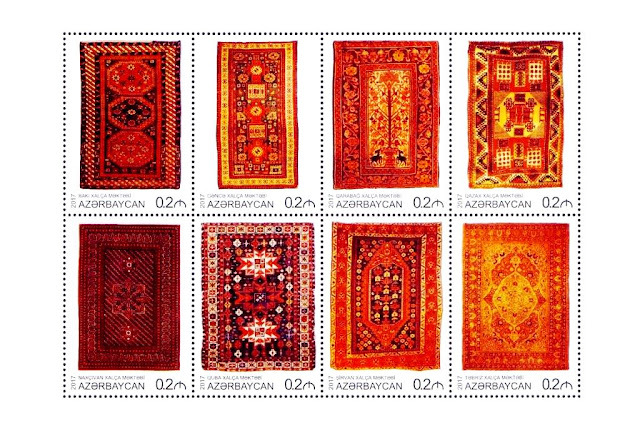 On the field of the souvenir sheet pictured stamps issued the “Azermarka” at different times.